Los Angeles is a famous Southern California city and the center of the nation’s film and television industry. The city is best known for its iconic Hollywood sign, television and movie studios, and celebrity sightings across Hollywood Boulevard. 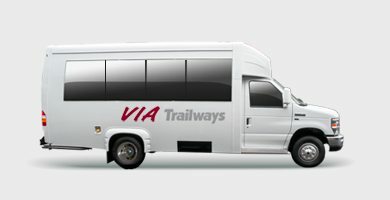 If you’re planning a trip to Los Angeles, let Via Trailways help you get there! We want your trip to be as stress-free as possible so you can focus on having a relaxing and fun-filled time. Experience life like a celebrity with the VIP Experience at Universal Studios. Eat, shop, and explore the gardens at The Getty Center. Hike and enjoy the views surrounding the iconic Hollywood Sign.